We are the Master Creators! It's certainly good to see people finding the lighter side of the challenge! I've said pretty consistently that The Shift is going to present us with countless mirrors by which to see ourselves as it progressively unfolds. What do I mean exactly? The point is that we are the master creators of our lives and experiences. Accelerating climate change is predominantly caused by lifestyles within society that are out of kilter with nature, and our deeper interconnection with the Universe. In which case, life will always present a counterbalancing correction. Such a mirror impacts us internally, affects the reality we've created, and invites us to go much deeper through the inner layers of separation and resistance. The reflection of space-time-continuum that we bend around our distortion offers a dramatic wake up call. Whenever you're faced with any deep inconvenience, fear, worry or contraction about something, paradoxically, these are doorways to deep inner truth - the eternal burning light at the core of you. Society has spent aeons avoiding these doorways and placating the pain of inner confrontation through distractive consumption - one's attention is constantly lured into the outer. However, when something inconvenient like this happens, there's the maximum opportunity. As the inner tightness reveals itself, that's where the soul is identifying with the illusion. Now you're shown reflections of how and why - what did you think you needed or wanted? If you can turn right into the discomfort and feel deeply into it, then you can break right through the limitation of it. You become so intimate with it, that you become The One in it. It then ceases to define you. Now you can soften deep into your core inner being, the completion of every journey, the answer to every question. "I had to be there for my children, it's a black hole within yourself, it breaks your heart and you don't know why, but the train of a daily life is going on ... my children made me survive in that time, but nature healed my wounds. The cold gave me direct understanding of deeper breathing, and how to heal a broken heart." Here's the thing though, it's not just about the cold, ANYTHING that you retract from, react to or close down to, becomes a phenomenal gateway. Instead of turning away from the pain, you turn right into the discomfort and work it through. It could be Intermittant Fasting for example, where you're continually fasting for 18 hours per day, which causes the inner digestive mechanisms to quieten. You'll hit many identitive barriers of craving and perceived need - these are the hooks that stop you softening right into your core. But where you confront these, soften and surrender, then you can breakthrough into your deepest core being. It's high time we involved ourselves directly in what it means to be "Living the Shift". It's not something to fear, but to embrace and thrive within. 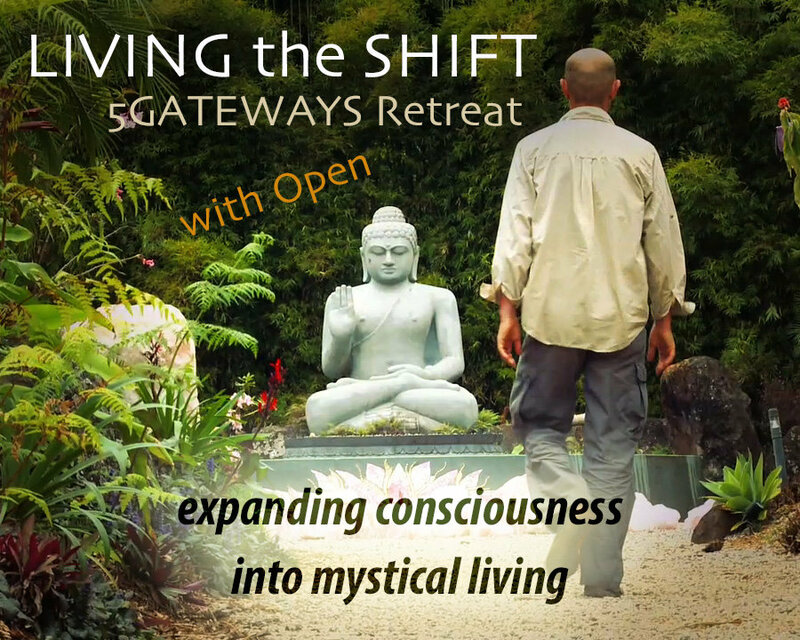 That's exactly how we'll be approaching the upcoming Openhand "Living the Shift" gatherings. We won't be dumping you in ice (! ), but we will most definitely be breaking through into your deepest core being. Dartmoor in the snow, but not in Bermudas! I've just been out in the snow here on Dartmoor - but not in my Bermudas! I found the Wim Hof story very inspiring. What do you think? Personally I'm getting a lot from intermittant fasting. How are you finding breaking through your own inner density? Do share, I'd love to hear. 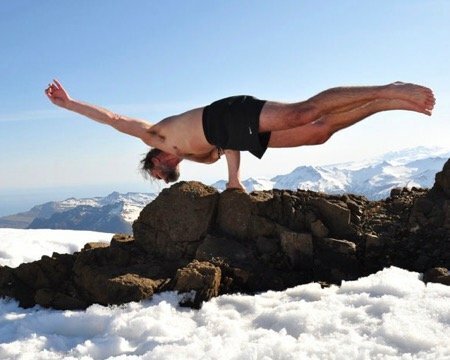 Interestingly I tried the Wim Hof method of breathing because I'd heard so much about it and it seemed to be very effective at helping people transcend physical challenge. Yes indeed, I too found that it helped bring a deepening of focus on the inner core, and for that it is excellent. And I'm sure there are major health benefits such as activating the immune system as Wim describes and demonstrates. 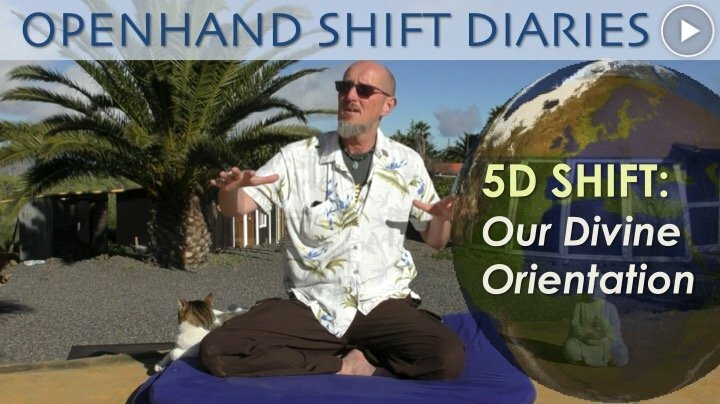 However, I experienced side effects that for the Openhand Approach weren't beneficial - specifically in terms of multidimensionality and the flow. So the practice involves strongly intense breathing and a strong focus in the mind. For me the detrimental affect was that it turned down my sensitivity to the flow, because it turned down the volume on the more subtle vibrations. I found myself making mistakes in the flow that I wouldn't normally do. 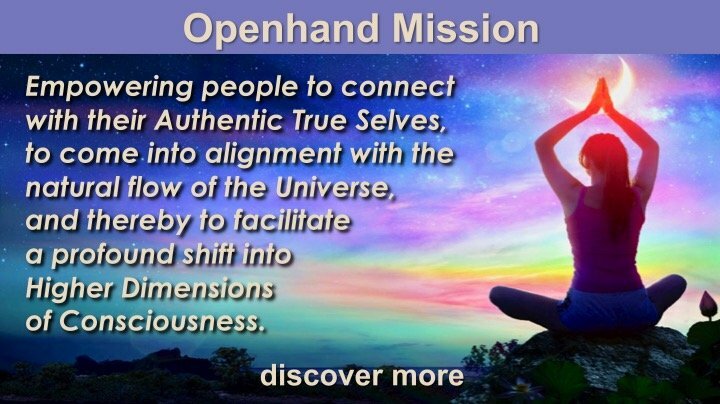 What I've done instead now, is taken some of the excellent beneficial influences from the approach but incorporated them into the more expansive Openhand meditations. In the Breakthrough Breathing for example, to focus on the core a little more, which I took from Wim's method, but then following that, to open out with a typical Openhand multidimensional meditation which is much softer and more subtle.